We provide guitar lessons in Liverpool and the surrounding areas. Our guitar teachers can travel to you, visiting your home, office or a location of your choice. Or you can visit your Liverpool guitar teacher at their home teaching space if you’d prefer to travel to them for your guitar lessons. Our expert and friendly guitar teachers are experienced at teaching all levels and styles of guitar playing. We can help all students from beginners to intermediate and advanced guitarists to improve, while making guitar lessons fun and enjoyable along the way. Our guitar teachers are friendly, experienced and DBS checked. Our guitar teachers can visit you at home or you can visit their home teaching spaces, the choice is yours. 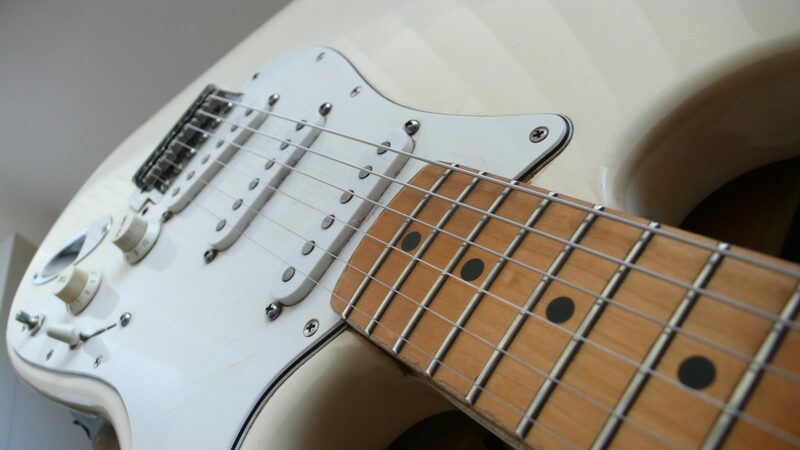 It’s important that your Liverpool guitar lessons are convenient, which is why we have expert members of our team covering different areas of Liverpool and nearby towns and villages. This ensures you one of our guitar teachers is local to you wherever you are. We want to ensure that our guitar lessons are open to everyone one – no matter their age or ability. We have students who range in age from 4 to 80! Age really doesn’t come into it, with a bit of hard work and practise you’ll be a great guitar player in no time! Complete beginners, there’s no need to worry! Whether you’re starting from scratch or know a few chords we’ll help you make great progress, become a better guitarist and really enjoy music. Wherever you are on your guitar playing journey our Liverpool guitar teachers will be there to support you. Our guitar teachers can show you a range of styles from pop to rock to blues to jazz, they’ll be able to help you learn your favourite styles and show you the best techniques to help you progress. Our Liverpool team is comprised of experienced, friendly, accomplished guitar teachers all of whom are working, professional musicians. With their wealth of industry experience and guitar teaching professionalism, they’ll have you enjoying playing the guitar in no time. If you’re a beginner guitar student, we can help you begin your musical journey, creating the strong foundations to enable you to become a proficient guitarist. All of our guitar lessons are tailored to suit the individual needs of beginners. Everything you need to know is covered in our beginner guitar lessons from tuning and posture to your first chords, riffs and your first song. Our Liverpool guitar teachers will ensure your lessons are fun and progressive and will get you playing your favourite guitar solo in no time. If you’re an intermediate guitarist, it’s not uncommon to feel like you’re stuck in a rut or be unsure what to learn next. Our Liverpool guitar teachers can help you overcome any struggles you may be experiencing by showing you new techniques or styles, helping you reach new heights in your playing. Our Liverpool guitar teachers are expert musicians who’ll be able to point you in the right direction. Depending on your musical tastes and ambitions our guitar teachers can teach you new skills including improvisation, songwriting, sightreading, soloing and many more new skills during your Liverpool guitar lessons. If you’re a more advanced guitarist, you may be lacking new inspiration or unsure what progress you can make. As all of our Liverpool guitar teachers are experienced working musicians and well-versed in teaching to the highest level, you can rest assured we will be able to take you in new and exciting directions with your guitar playing. Your advanced guitar lessons will be tailored to your individual needs and levels of playing, which for many students includes advanced instrumental skills, jazz, composition, improvisation, modes and more. We tailor our Liverpool guitar lessons to help students reach their guitar playing ambitions. If you’re preparing for an exam or an audition our Liverpool guitar teachers can help you prepare. We can help you work towards taking grades with all exam boards, your GCSE and A Level Music exams, live performances, University auditions, and a great deal more. Your Liverpool guitar teacher will be able to tailor your lessons around your unique aims and help you work towards passing your exams, grades or University auditions. We can’t talk about music and Liverpool without mentioning The Beatles – The best-selling band of all time, adored by fans across the world. Liverpool is now a mecca for fans of the fab four. 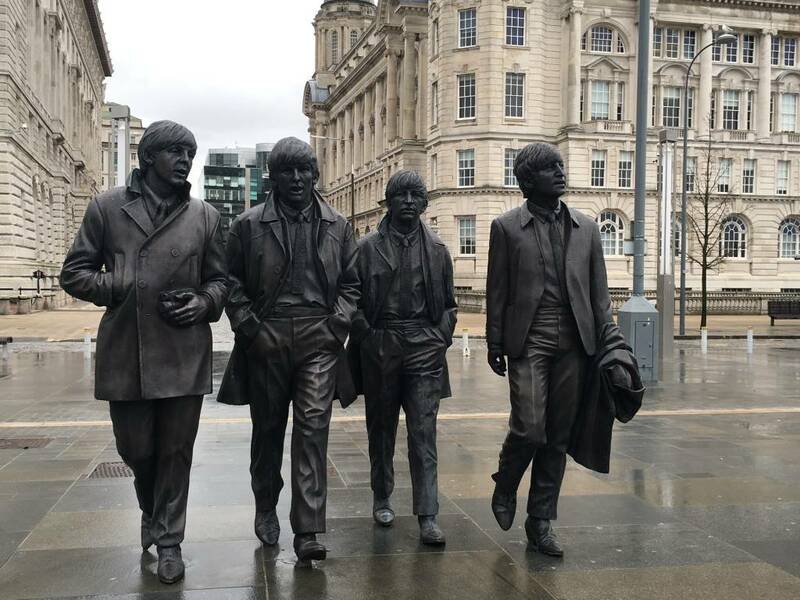 Fans can visit ‘The Beatles Story’ museum, or set-off on a tour of all the sites made famous by the band including Penny Lane and Strawberry Fields. Of course, stopping off at the famous Cavern Club where The Beatles played their first show in 1961. Today, Liverpool’s music scene continues to flourish with a host of gig venues showcasing new and more established bands across the city. From the Liverpool Echo Arena to the Liverpool Arts Club, via the still buzzing Cavern Club, there’s plenty of live music to be seen and enjoyed. Book your Liverpool guitar lesson today to make the next step in your guitar playing. With some hard work and the support of your Liverpool guitar lessons, maybe you’ll be ready to play The Cavern Club? We exclusively hire the very best guitar teachers in Liverpool. We pride ourselves on providing the highest quality guitar lessons, always making them progressive and enjoyable. We ensure that all our Liverpool guitar teachers share our ethos and are like-minded in their approach to individual guitar lessons. This ensures you receive exceptional customer service and the highest quality guitar lessons tailored to your individual playing needs. Special Offer: 11 guitar lessons for the price of 10! Available to all our students, just let Alex know you’d like to use this offer when you book your next lesson. We’re a small company providing guitar lessons in Liverpool and Merseyside such as Bootle, Knowsley, Birkenhead, Kirkby, Woolton, Halewood, Everton, Southport and St Helens. 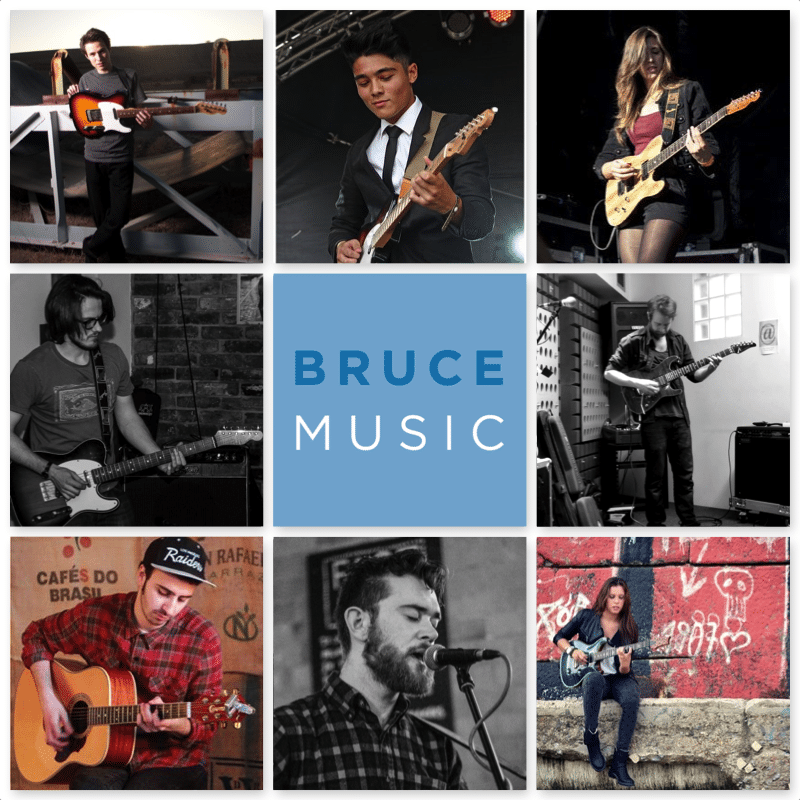 Bruce Music was originally set-up in London, providing guitar lessons from friendly, expert musicians. We’re thrilled to be bringing our guitar lessons to Liverpool and Merseyside. One of our founders has family in Liverpool and makes regular trips to the city to enjoy the abundance of live music and music history.